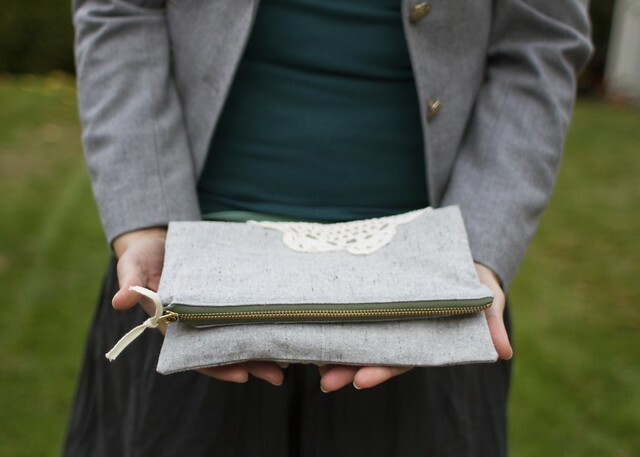 i recently gave a clutch like this to my sister laura as a birthday present, and i thought i’d write up a tutorial for it because…you know…it’s getting to be that gift-giving time of year! i think a pretty but casual little clutch purse is great for girl time, date nights, a quick errand, that type of thing. it’s the perfect gift for sisters, moms, babysitters, teachers…any lady in your life, really! 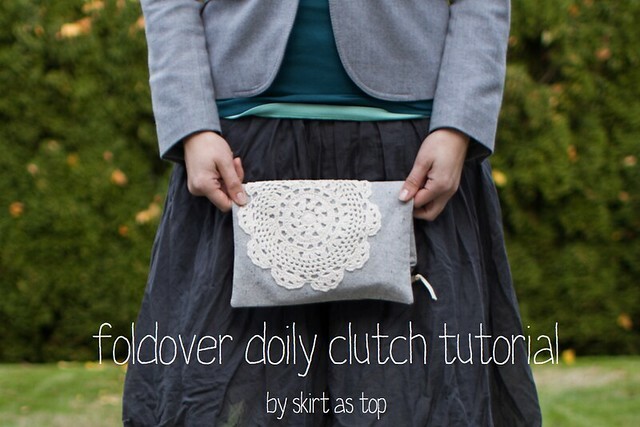 this foldover style clutch features a metal zipper and appliquéd doily on a lined bag. in these photos it’s carrying my wallet, phone, and keys – the essentials. 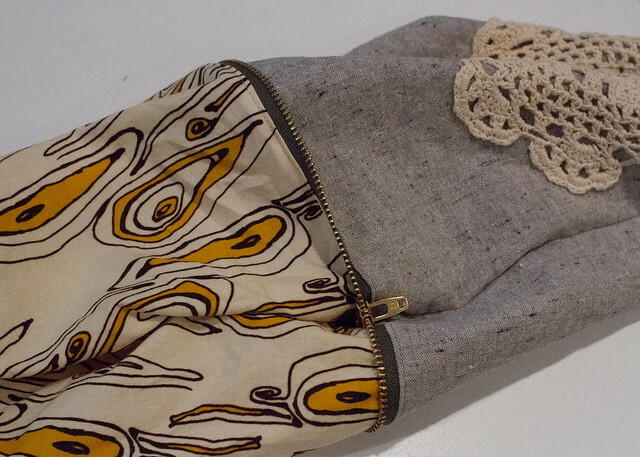 it has vintage-modern style with the doily and rough linen-y hemp fabric i used, but you could skip the doily and do a fun print, or stamp a fun design on there too. i had fun adding a doily to a skirt during vintage may, so i thought that’d be neat to try that technique again. due to the proportions of the clutch and zipper, you don’t need to reach for the pliers and you don’t need to worry about breaking a needle, either! 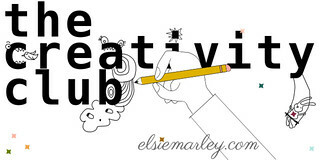 deep cleansing breath – you can totally do this. cut two each of the lining and outer fabrics, 10″ x 12.” edit: depending on the weight of your fabric, i’d recommend fusing light/medium weight interfacing to the wrong sides of your outer pieces before starting to sew. it’ll add a little extra structure to your clutch. figure out placement of your doily. i wanted a little to wrap over the top when folded up, and i wanted it a little off center. 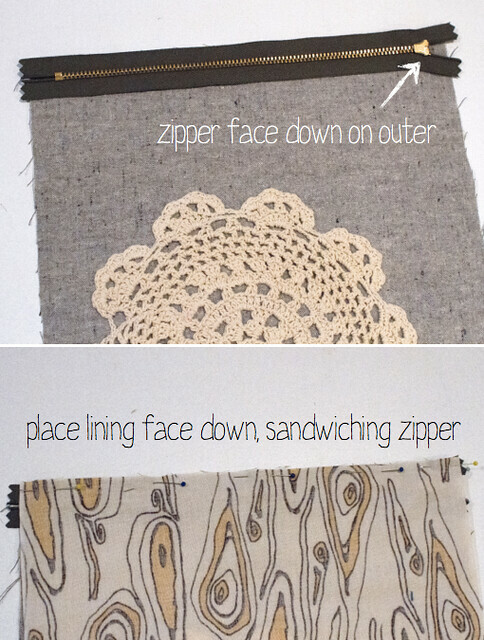 just be aware of your seam allowances – don’t put the doily right to the edge or it’ll get swallowed up when you sew. keep it 1/2″ away from all edges at least. 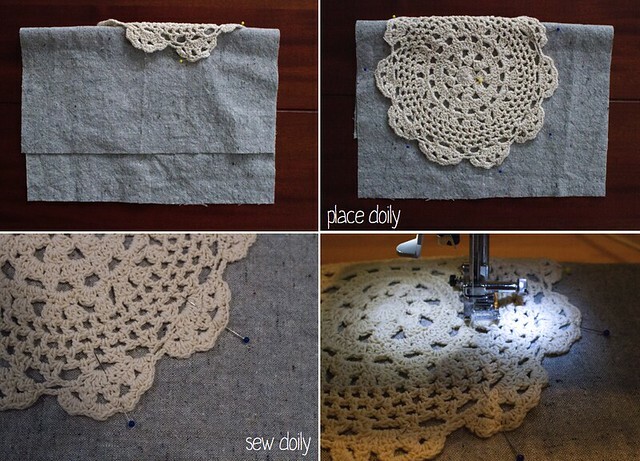 pin around the outside and in the center, then sew around in a few places where you see a good thick line of doily, starting in the very center and working your way out. check out my skirt tutorial to see how it should look from the back. 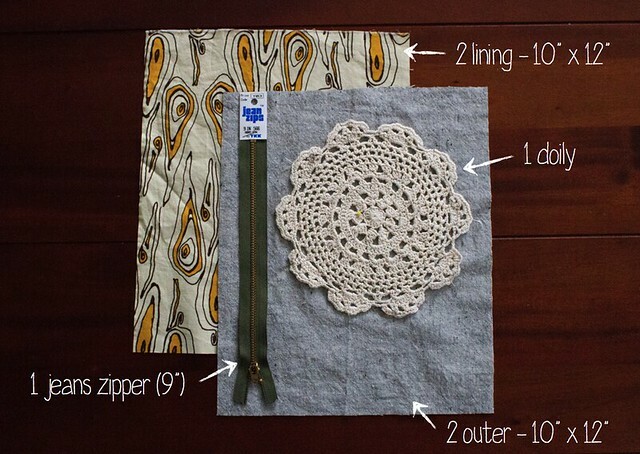 lay the doily piece right side up, then lay your zipper face down onto it, letting a little bit of the zipper tape hang off each end evenly. then place one lining piece right side down, sandwiching the zipper in between. pin. 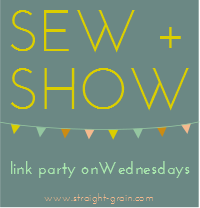 sew with about 1/4″ seam allowance. i used my regular foot here and butted the left side against the zipper teeth. if you can’t keep the 1/4″ allowance as you move past the zipper pull, it’s okay to migrate away a bit, just do the best you can. 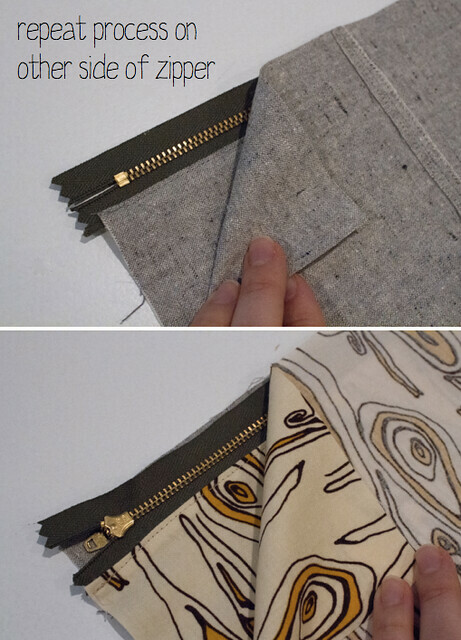 press both layers down away from the zipper (press the part by the zipper pull so it’s even with the rest), and topstitch 1/8″ from the edge. repeat on the other side of the zipper. main fabric face down, then lining face down, then sew. press and topstitch. i used my zipper foot here because it was easier to nestle up without hitting the teeth. do whatever works best for you. separate the layers so you match lining to lining and outer to outer, right sides together, and open your zipper up about halfway. start pinning along the perimeter. 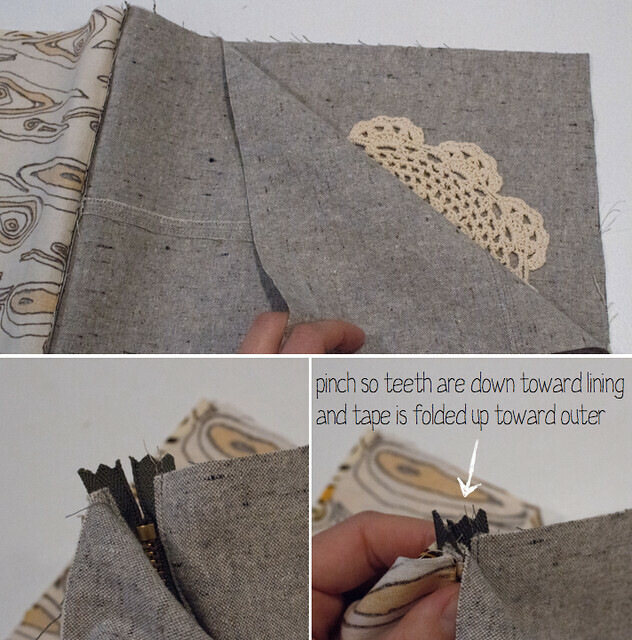 when you get to the zipper, pinch it together so the zipper teeth are toward the lining and the tape is folded up toward the outer fabric. 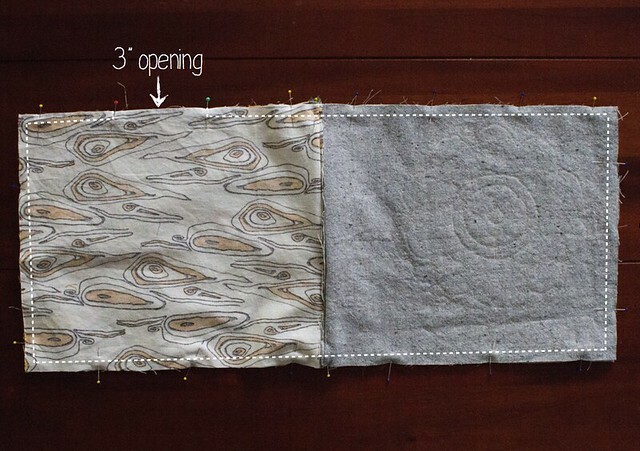 sew around the outside with a 3/8″ seam allowance, leaving a 3″ opening in the lining for turning. i use 3/8″ here to avoid hitting the metal of the zipper, but slow down and be careful as you sew that part just in case. also, i like to mark my start and stop points with a red and green pin (the rest of my pins are blue and yellow) so i don’t forget to stop. just a helpful hint. clip the corners and finish any of the bottom edges you think might need reinforcement, then turn it through the opening. then stick your hand/point turner/knitting needle through the opening and press out the outer fabric’s corners. poke out the corners by the zipper ends, too. 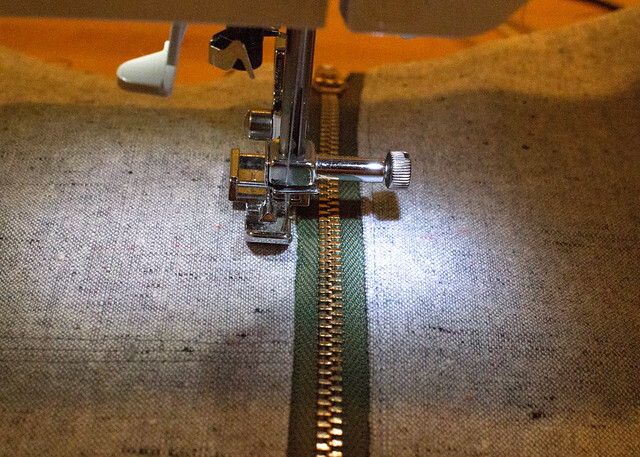 close the hole in the lining either by hand stitching or machine stitching close to the edge. tie a little piece of twill tape, leather, etc. to the zipper pull if you want…and you’re done! pretty easy, eh? i love the play on rough and soft, metal and fabric, pretty and woodsy. it’s a clutch full of contradictions but i think they work. if you have any questions, please let me know. 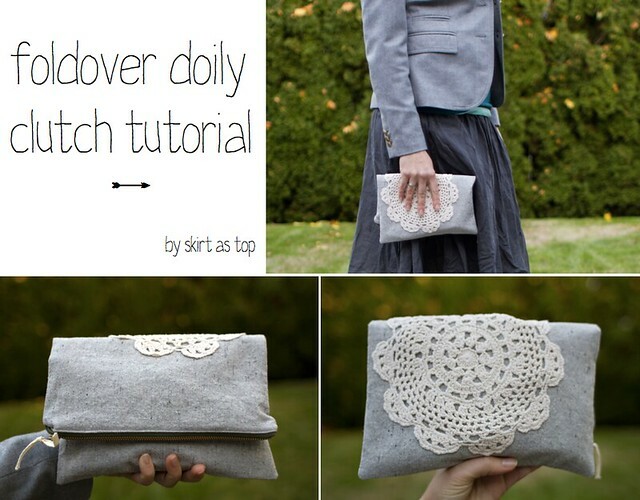 and if you make a clutch using this tutorial for yourself, as a gift, whatever…i’d love to see it! 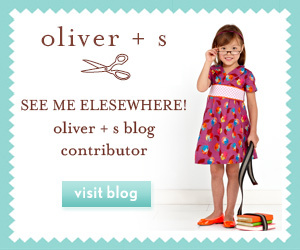 please be sure to add it to the skirt as top flickr group. Love this!!! Thanks for the tutorial. I think I might make this (or something like it) for my sisters for Christmas! Yay, thanks Jane! I hope you do! Oh and you look adorbs, by the way! Super cute, Kristin! I too love the combo of the rough and soft- you executed it perfectly. Super cute! I love it! I like the zipper plus the fold over. The doily is the perfect little detail. pinning it right now! lovely!!! you look so pretty with the clutch, definitely a piece that goes with anything! thanks so much! pretty neutrals are always good accessories, right? I love this! 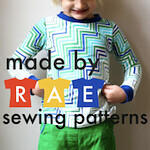 Your combinations of materials/fabrics/print work really well. I like the vintage/modern feel. And your tutorial must be good because I feel like I could really do this now! You and your pretty clutch are so lovely!! 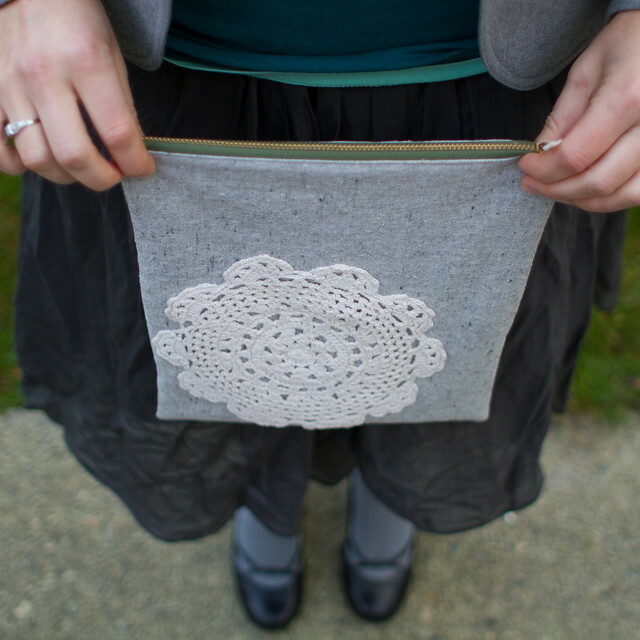 Love that pretty cream doily against the gray! 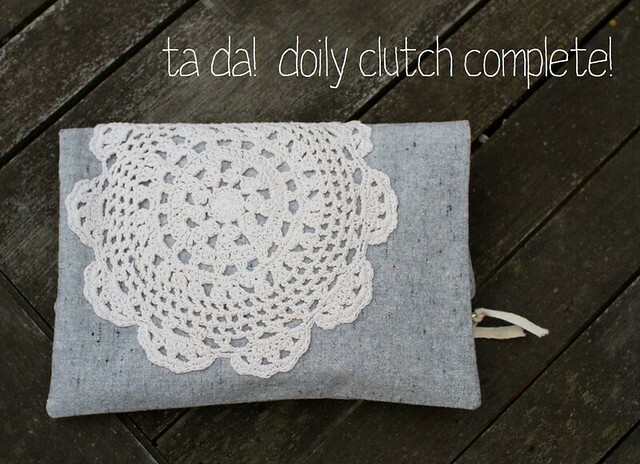 oh the clutch is soooo pretty, and i must agree that you’re looking stunning! what’s that cool lining fabric?? 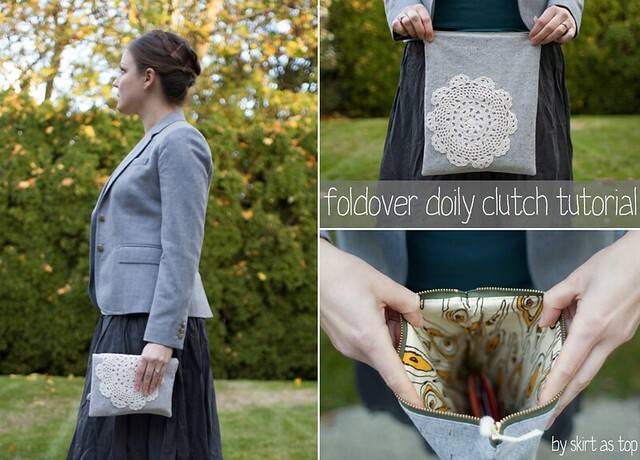 A great idea, a tutorial for this clutch! I’ll try it one of this days and I’ll let you know, so you’ll see how it’ll come out! I’m following you from today! 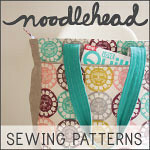 I am totally going to use this tutorial this weekend! It’s awesome; thanks Kristin!